a hat or bowl?.JPG, originally uploaded by jodifurr. We call him distructo boy because it is amazing what he can destroy and how fast he can destroy it! 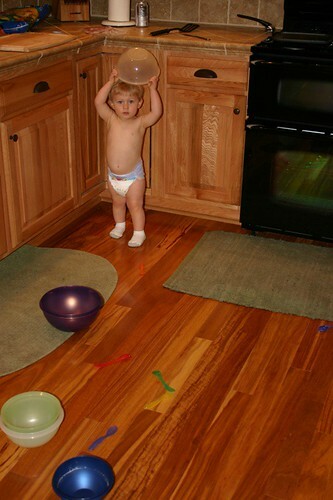 He loves playing with my kitchen bowls - good thing they are tupperware!